One more savoury to make without any fail for the upcoming festival of lights is this Potato ribbon pakoda aka ola pakoda. After murukkus, ribbon murukku is a must in our Diwali savory list as we love to munch varieties of savouries. 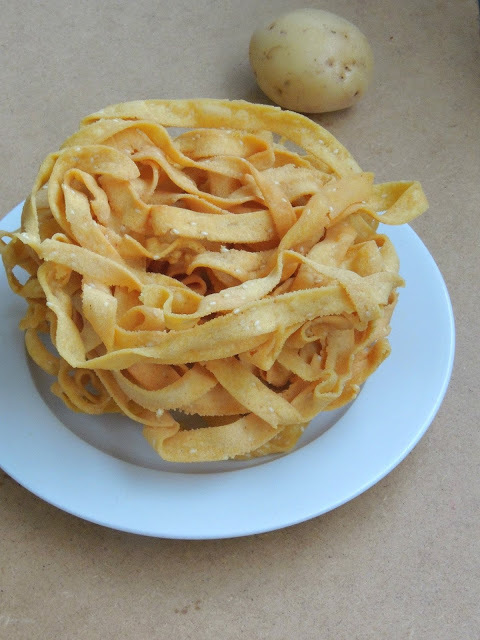 Ribbon murukku, is also known as naada murukku, ribbon pakoda, o..